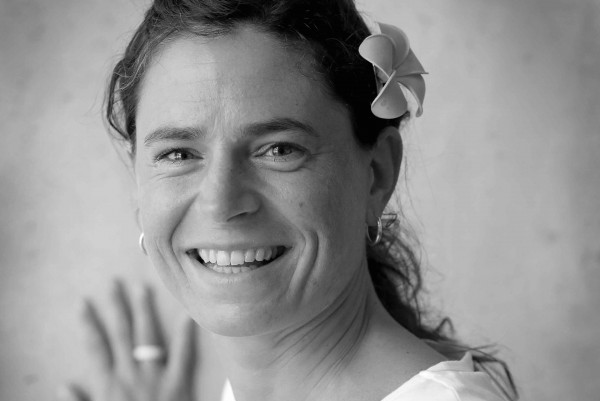 Dr. Kristina Höschlová is the founder and director of the Mountain Medicine Course in the Czech Republic. 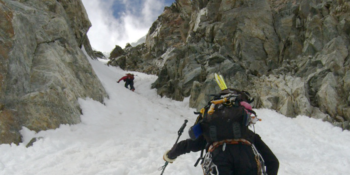 “Mountain medicine combines two lifelong passions of mine – my profession as an emergency medicine doctor and the mountains. I spent my childhood in the foothills of the Ještěd Mountain, and ever since the mountains have been my second home. When I summited Mt. Blanc the first time, I was 18 years old. Each year I would explore a different country, different region, and different mountain range all over the world. High mountains will never cease to fascinate me with their immeasurable powers and quiescent grace. In 2003, as a member of the Czech Mountain Medicine Association, I have been introduced in the mountain medicine. Just a year later I went on my first high mountain expedition. In preparation for this expedition I also enjoyed precious advices from Josef Rakoncaj, a legend of the Czech Himalayan climbing. During my medical studies I spent several summer seasons working at a goat farm in a Swiss mountain village, Verbier. From there my journey took me to the Alpine Rescue, and so, in the winter 2006, I spent my first season as an emergency doctor with the Mont Blanc Helicopteres in Avoriaz, France. I am currently an emergency medical doctor with the Liberec region Emergency Medical Services, providing ambulance and helicopter based medical response. During my foreign stays, I have been lucky to meet a lot of excellent medical professionals. Due to these international acquaintances I was invited in 2013 to attend the international Master Course in Mountain Medicine in Italy. The course impressed me and so I decided to bring this education and expertise also in the Czech Republic, which suggested me to open the International Mountain Medicine Course in the Czech Republic. Although there is a lot of relentless work behind, I feel quite enriched as for its joyful open spirit and the enthusiastic atmosphere. Therefore I like to express my gratefulness to all the organizers, lecturers, supporting partners and mostly to all of the Course’s participants for their contribution. Encouraged by the increasing interest from the Czech and foreign doctors and paramedics we are pleased to open the 3rd edition of the Course this year. During the Course, beside our current collaboration with the Bergwacht Bayern rescuers we look forward to experience a new cooperation with the Alpine medical rescue professionals in France and Switzerland. Moreover, to respond to the increasing enquiry from the non-medical mountain lovers, we are happy to open a new Mountain Medicine Course for the Mountaineers, whose winter part will also take place in the demanding Alpine winter terrain. I hope you will enjoy our Courses and it will satisfy your expectation as much as possible. We too, are looking forward to meet you and to share your precious medical or mountain experiences. Graduated from the 3rd Faculty of Medicine, Charles University in Prague in 2003 and specialized in anaesthesiology and resuscitation, and in emergency medicine. In 2015 accomplished the International Master Course in Mountain Medicine in Varese, Italy. Currently employed as a medical doctor with the Liberec region Emergency Medical Services. Previously, she worked at the Clinic of Anaesthesiology and Resuscitation of Trauma Center at the University Hospital Královské Vinohrady in Prague and with the emergency services Samaritan International in the region Prague-West. Further she spent four winter seasons as an emergency doctor in Alpine ski centers in France (Briancon and Avoriaz), and in Switzerland (Verbier). 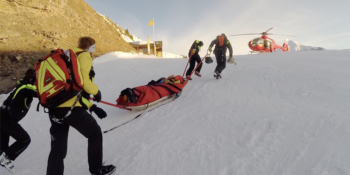 In Avoriaz she worked as a mountain rescue doctor with Mont Blanc Helicopteres. She is a lecturer of emergency medicine and mountain medicine at the Third Faculty of Medicine, Charles University in Prague and in the Institute of Postgraduate Medical Education. 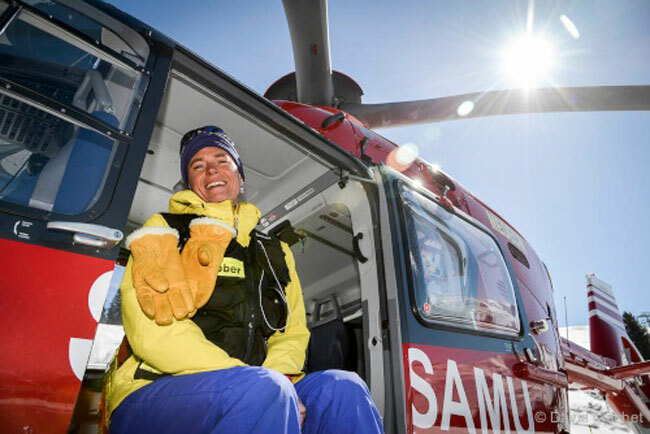 She is a member of the Czech Society for Mountain Medicine and the Swiss Society for Medical Mountain Rescue "GRIMM". In 2005 she went as a medical doctor to Mt. Everest expedition and a year before to Khan Tengri expedition in Kyrgyzstan. In 2014 and 2019 she worked as an anaesthesiologist in a mission of Doctors Without Borders in trauma centres of Kunduz (Afghanistan) and Mocha (Yemen). 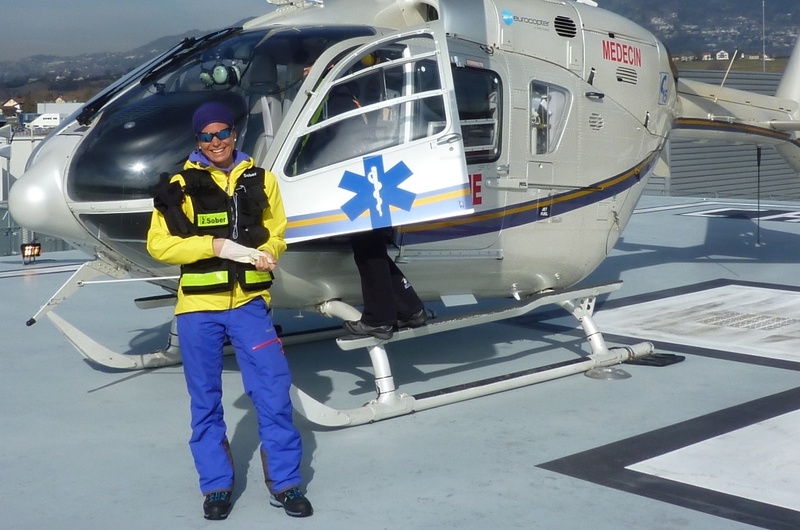 Kristina Höschlová gives regularly lectures in emergency and mountain medicine at different medical and mountain congresses in the Czech Republic and abroad. More about KH on youtube or stream. See the course through eyes of participants.